In response to the catastrophe which took place in Vanuatu, the National Government of the Republic of West Papua launched an emergency assistance project to collect clothes for the people of Vanuatu, which will be sent to Vanuatu by containers as soon as possible. 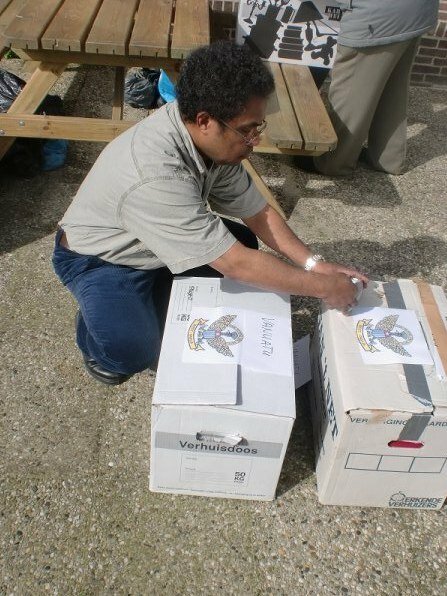 Their contact persons in Vanuatu will help with the distribution of the packages. To support this initiative UNPO is appealing to its members and supporters to be in solidarity with the people of Vanuatu and help with emergency relief and the rebuilding of the livelihoods of the people in Vanuatu. On 13 March 2015, Vanuatu was hit by tropical Cyclone Pam. The Archipelago was not prepared for the Cyclone which entered the country with wind gusts of 300 kilometer per hour. Around 90 % of all buildings in Vanuatu’s capital, Port Vila, were wiped out as a result of the Cyclone. However, the disaster in outlying areas of Vanuatu, is far worse than in Port Vila. Tanna Island, with a population of about 30,000 people, was directly in the path of the cyclone and all of its crops and most of its houses have been destroyed. The number of casualties at this point is fortunately lower than expected. Eleven people lost their lives, but unfortunately thousands of people are homeless after the disaster. 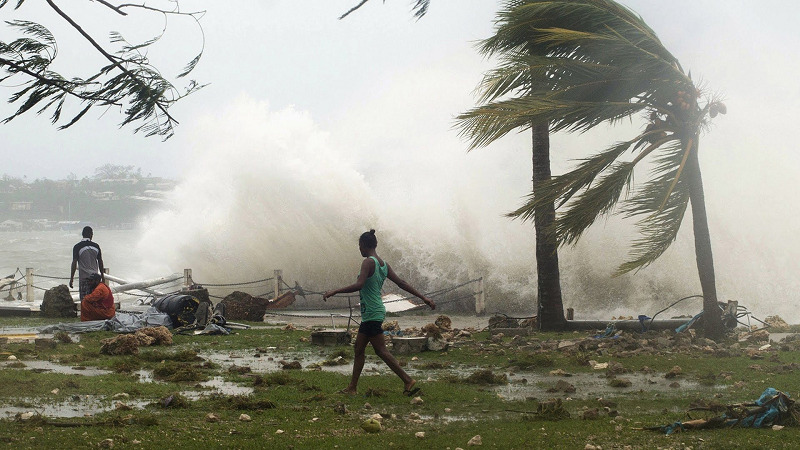 As a result of the Cyclone, which was comparable to a category 5 hurricane or a super typhoon, the situation is critical, and the damage is huge. The president of Vanuatu described this catastrophic phenomenon as a «monster linked to climate change». As around 90% of the infrastructure is damaged, houses are destroyed, agriculture, electricity and means of communication are damaged, UNPO is in solidarity with the people in Vanuatu. The population of Vanuatu is facing serious threats on their livelihoods and their health. The atmosphere in Vanuatu is not clear due to the massive amount of smoke caused by the immense procedure of rebuilding, which might take more than a few months, even years. Additionally, in their effort to survive, people are drinking sea water, which can cause serious dehydration and ultimately lead to death.